COMP Cams Pushrods - Hi-Tech - Pann Auto Performance - San Diego largest aftermarket automotive performance parts - What do you drive? Prior to extensive research at COMP Cams, it was thought that the pushrod only had to be strong enough not to fail, bend or burn up at the ends. But our engineers have learned that the frequency of the pushrod must match that of all the rest of the parts in the valve train, as well as the RPM at which the engine will be run. Today’s all-out race engines demand the highest quality components at every step, and COMP Cams Hi-Tech Pushrods fill that requirement. The one-piece design from .080” wall seamless chromemoly tubing ensures the ultimate in strength and durability. The ends are precision formed, yielding added thickness in the critical tip area for strength while maintaining constant wall thickness and concentricity. The pushrods are then heat-treated to ensure compatibility with guide plates and for maximum strength. They are OD-ground for consistency and black oxide finished with a length and part number laser etched on the OD for ease of identification. 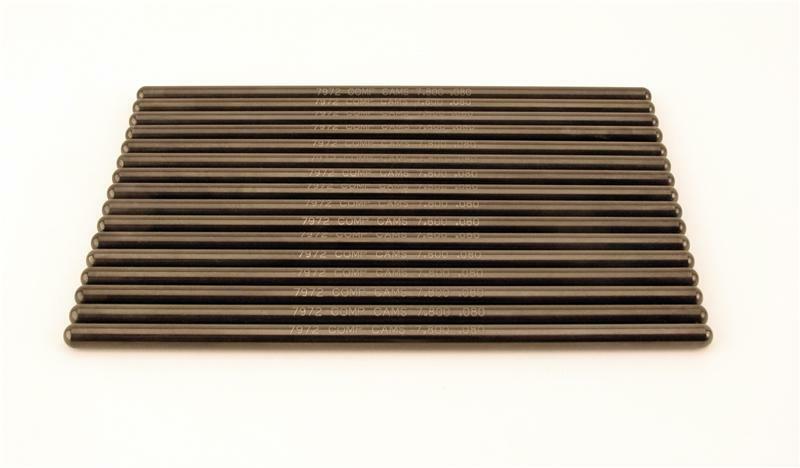 Hi-Tech Pushrods listed by length can be found on pages 262-263 while other wall thicknesses are available on pages 264-265. 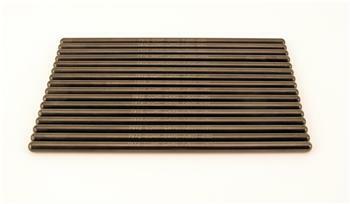 Hi-Tech Pushrods can be ordered as single units or in sets of 16.